We meet on the first Wednesday of each month in Tyson's Corner, except the months of January and July when we host our Winter Social and Summer Picnic instead. Please consider saving some or all of these dates for our 2019 season. Starting in April we will have a scenic drive (a few hours to half a day) each month as well as a set of longer (full day or weekend) special events. Detailed announcements will be sent in advance highlighting the destinations and the routes, along with instructions on how to register for the drives. July 6-7th - Special Event #3 - Lighthouse Tour (two days touring the Eastern Seaboard of VA and Maryland and visiting lighthouses. October 5th - Scenic Drive #7 - Go Fast on Fort Valley Road! October 19th - End of Season Afternoon and Evening - A drive, a meal and campfire. We'll also fit a nighttime drive on the Skyline in, and other ad-hoc events. Don't be shy! If you'd like to lead a group on an event of your own, PLEASE do so - I'm happy to help get the event advertised on the Facebook Page and the Mailing List, and help you plan routes and use the signupgenius, even if I can't get free for the drive itself. 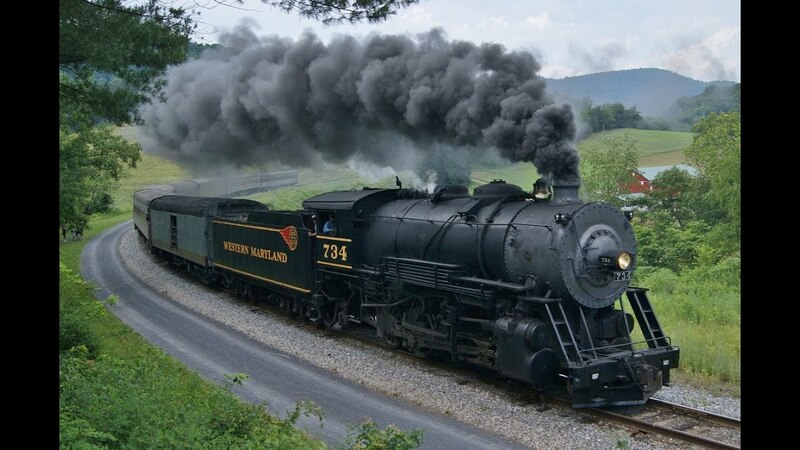 We'll depart the James Hubert Blake High School 300 Norwood Rd, Silver Spring, MD 20905 at 10:30 AM and make our way on secondary roads by the Tradelelphia Reservoir and over the Brighton Dam, north to Sykesville and Eldersburg with a lunch stop at Oscar's Alehouse. After lunch, we'll cross the Liberty Reservoir twice and make our way southward through Marriottsville, Clarksville, Highland, and Sandy Spring to end at the Shoppers in Olney. Total Distance is about 80 miles, and depending on traffic and lunch times we'll be done around 3:00 PM or so. Visit www.midatlanticscenicdrives.com for maps and GPS files. MSCW meets in Tyson's Corner, Virginia at Silver Diner. Silver Diner welcomes all MSCW club guests and their vehicles for the evening. We meet on the first Wednesday of each month, at Silver Diner in Tyson's Corner, Virginia. Parking lot socializing starts at 7:00 p.m., indoor meeting follows at 7:30 p.m.
Technical presentations, product reviews and guest speakers... good weather = parking lot socializing. See you on the first Wednesday of the month! Join us for an all-day trip to Southwestern Pennsylvania to go rafting on the Youghiogheny River! The Drive will begin in Winchester, Virginia at the WalMart SuperCenter west of Winchester, VA at 8:45 AM and follow a mix of US Highways and secondary roads with a few stretches of Interstate through West Virginia, Western Maryland, and into Pennsylvania. We'll arrive in the Ohiopyle area around 11:30 AM and have time for a lunch before checking in at Wilderness Voyageurs (https://wilderness-voyageurs.com/adventures/lower-yough-rafting/) at 1:30. 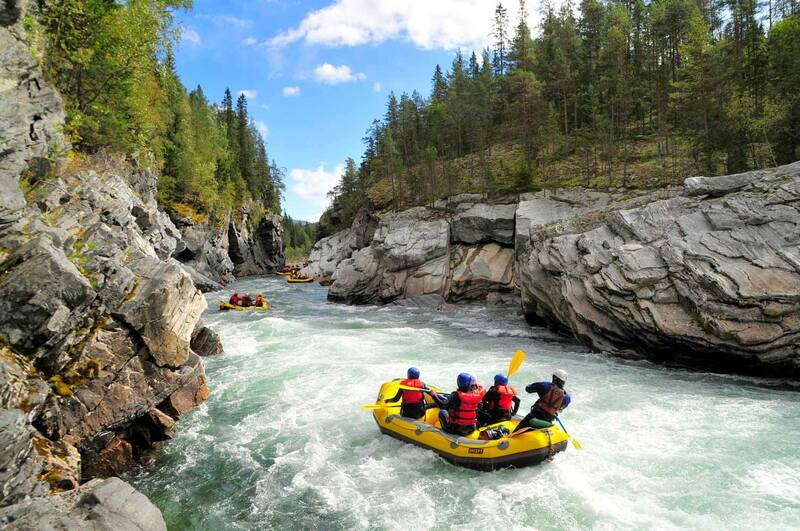 Please see the website for details on the rafting portion. After the rafting (around 5:30 PM or so), there will be a planned route home including a dinner stop, getting back to Winchester around 9:00 PM. Drivers are free to make alternate plans to get home (hurry via I-68 if you wish). Route details, including maps and such, will be provided in the month of July. If you're interested in signing up for the drive only (Fallingwater and other attractions are nearby), you are welcome to do so. SPECIAL INSTRUCTIONS: This event requires that you be in reasonably good health and fitness, and you should be a good swimmer. Please plan on wearing water clothing such as nylon or wool, NOT cotton which will get wet and keep you chilly. Some swimming sneakers or shoes are recommended. Bring a good hat and plenty of waterproof sunscreen. Raft Reservations are required. Robert Combs will coordinate these. Expect to pay approximately $80 per person. Robert will contact you to collect your money and will make the reservations in early April. 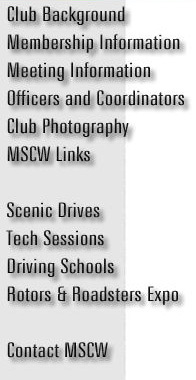 www.MSCW.com provides club information, event announcements, registration, etc. Our List Serve and Facebook page are additional forms of communication media to accommodate an individual's preference for interactive associate discussions. Join over 700 list serve subscribers for MSCW associates related discussions, technical concerns, happenings, announcements, questions and answers in the Maryland, Washington DC and Virginia Mid-Atlantic area. Click on MSCW List Serve (a) to subscribe. The MSCW List Serve is set to send subscribers a daily digest collection of emails, with only one email a day. Subscribers may reply in the form of an email to the list serve. Join over 150 associates for MSCW related discussions, technical concerns, happenings, announcements, photos, questions and answers in the Maryland, Washington DC and Virginia Mid-Atlantic area. Click on MSCW Facebook page to join. To reach a live person contact the event organizer or e-mail us at MSCW Officers & Coordinators. The Mazda Sportscar Club of Washington (MSCW) is an association of Mazda automobile owners. Formed in 1980 as the RX-7 Sportscar Club of Washington (an independent Metro Washington Area Chapter of the former RX-7 Club of America). Since 1985 we have been a Mazda marque club reflective of ALL MAZDA models. 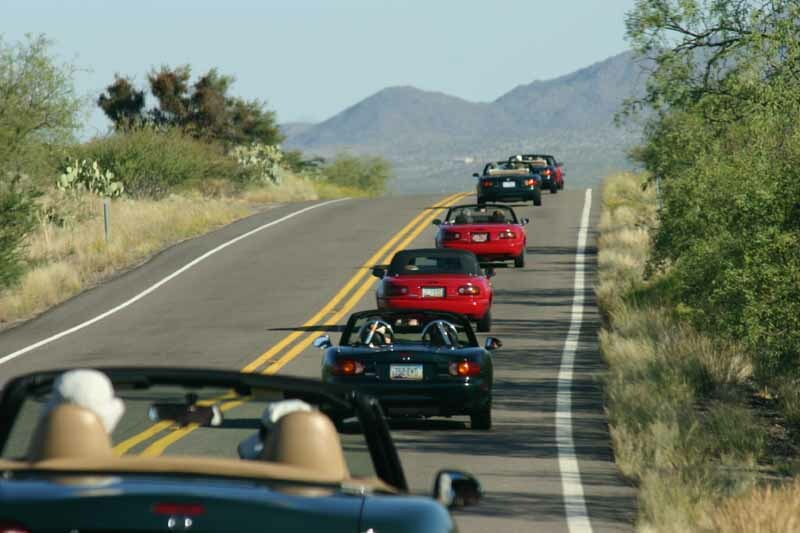 In 1991, we also became the Capital Chapter of the former Miata Club of America, subsequently the former Miata Owners Club. The MSCW Association is open to all Mazda vehicle owners. "Our mission is to increase the enjoyment of owning and operating Mazda vehicles through the sharing of information, knowledge and experience of our associates." Monthly meetings are held on the first Wednesday of the month. Socializing starts at 7:00 pm - meeting at 7:30 pm. Click here for associate information.